It’s January, the boys have been sick with tummy bugs, and I’ve been having cabin fever, which means I try out a bunch of different crafts! I combined two of our favorites into this one, which is an awesome craft that you can stretch it out for hours. 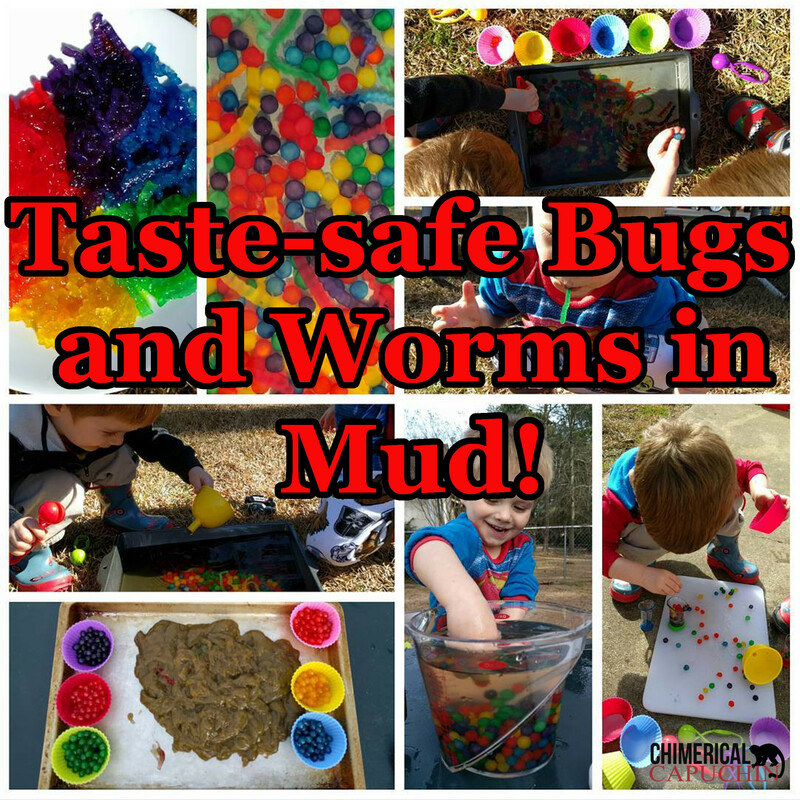 It’s sensory-friendly, taste-safe, and can easily be done in or outdoors. 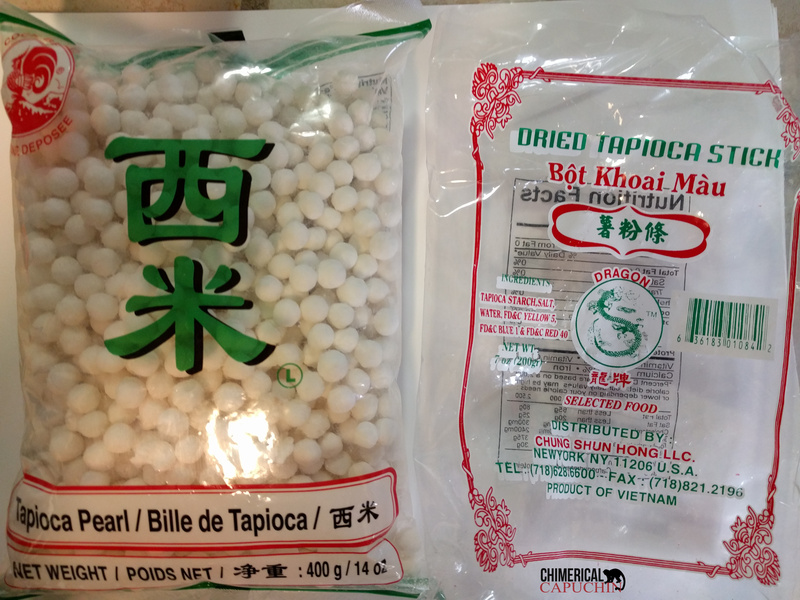 The tapioca pearls may be a choking hazard for small children, so use caution when playing with them. First, the shopping list. I’ve including Amazon affiliate links so you can purchase everything without leaving your house, but most of this stuff I found at our local markets. The nice thing about using tapioca is that you can play with it cooked and uncooked. 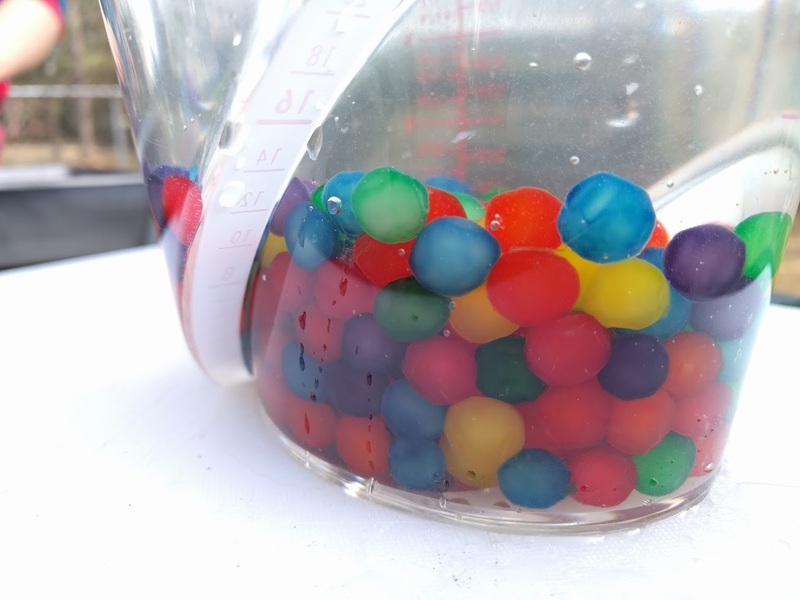 The uncooked balls can be poured from cup or cup or transferred to different containers to work on color sorting. 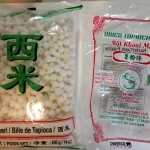 I wasn’t able to find these tapioca sticks available online, but they were purchased at our local Korean market. You could substitute another form of noodle. Follow the directions on the package. If no directions are given, boil for 5 minutes, then simmer until soft. 2. 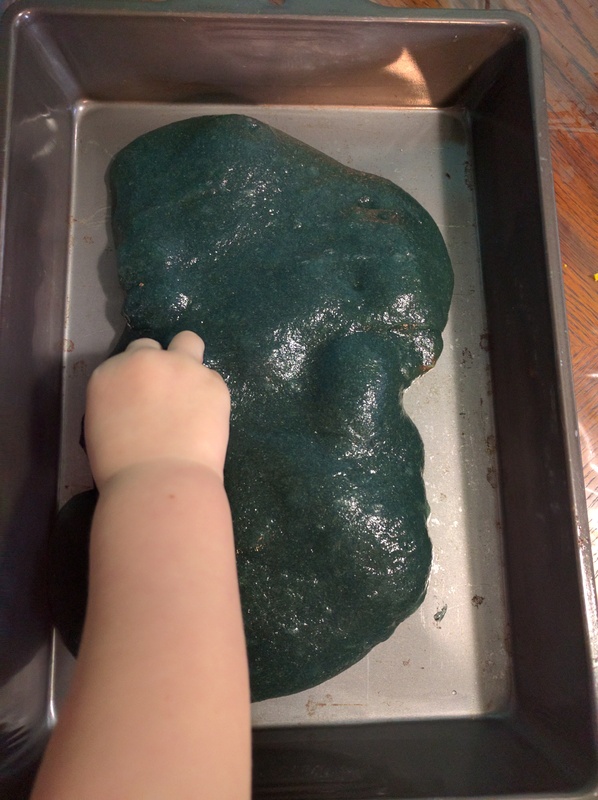 Edible dye if you want it to be taste-safe. 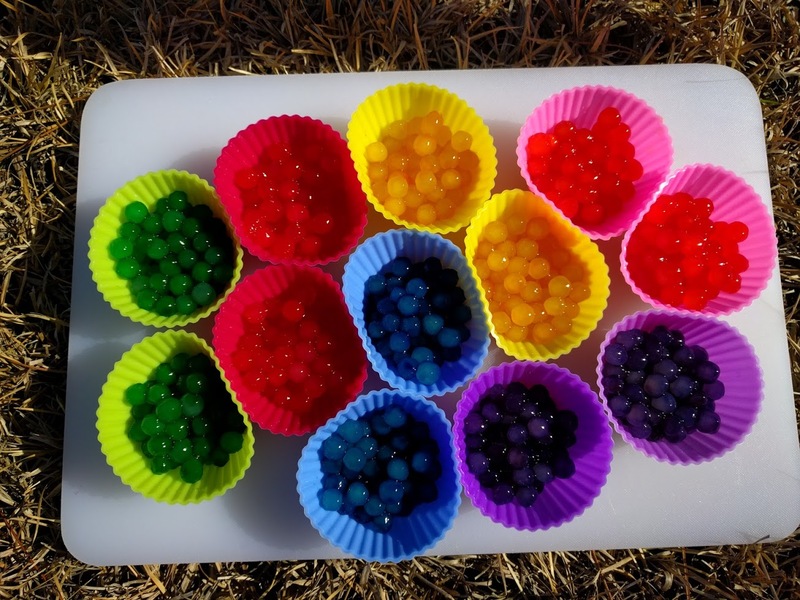 You can make your own dye from foods, purchase food dye, or use kool-aid. 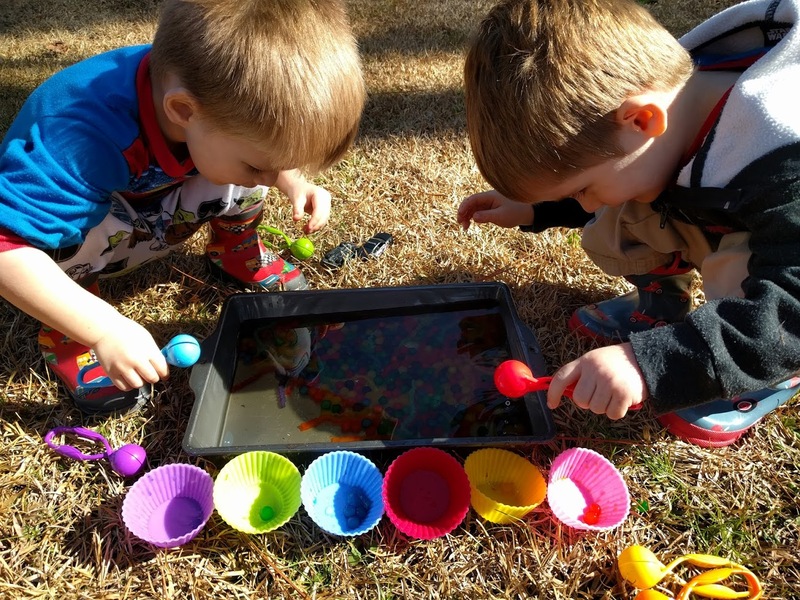 If you are more concerned about mess than taste-safe, then I highly recommend using Washable Watercolors for easy clean up, although the colors won’t be as bright. 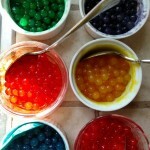 In small containers, mix the cooked tapioca and dyes. Be careful when making orange. I found that these absorbed the colors really, really well compared to a lot of materials I’ve worked with. Let sit at least 5 minutes, then rinse off in colander to remove as much as the dye as possible. 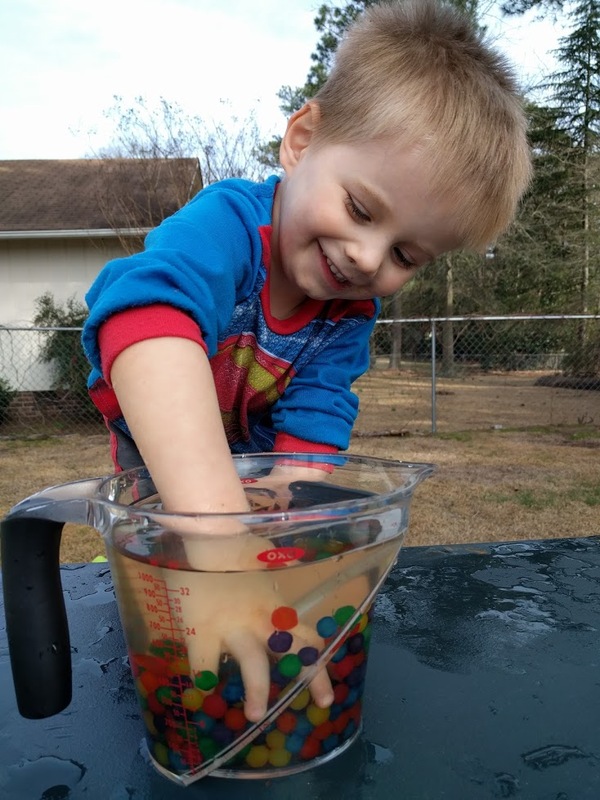 If you’ve rinsed well, you should be able to play with the “bugs” without any dye coming off on your hands or in water. 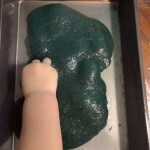 I used a recipe I found for edible slime and colored the slime brown. Next time, I’m going to try chocolate pudding. Some alternatives are made with other ingredients, so be sure that psyllium husk powder is the only or main ingredient. The first time I did this, I couldn’t find the clear stuff, so I bought the Orange metamucil knockoff. 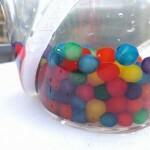 It was harder to dye due to the orange coloring, but mixed in with the water better. 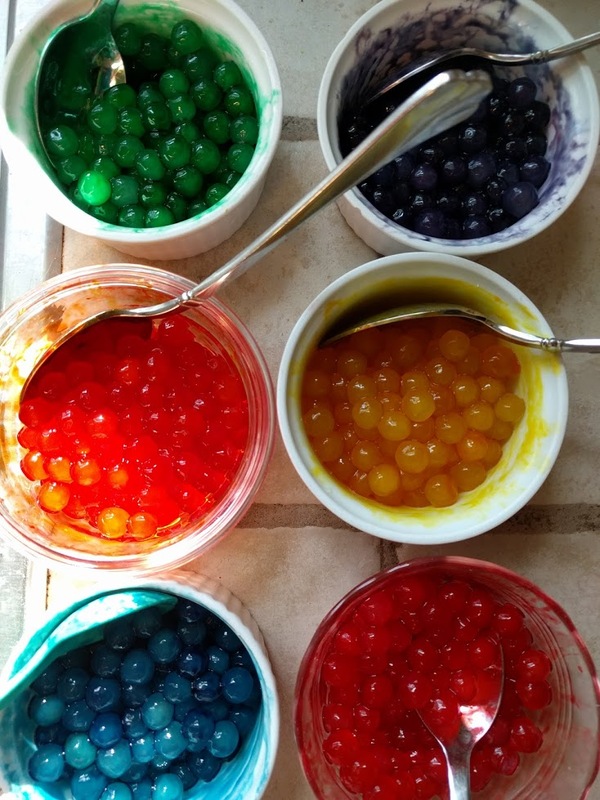 If you are more concerned about mess than taste-safe, then I highly recommend using Washable Watercolors for easy clean up, especially if you plan to make vividly colored slimes. You’ll want about a cup of water per scoop of psyllium husk powder. I’ve made it both ways and I personally prefer the stove top. Wisk 1 TBSP of psyllium husk powder per cup of water with dye. 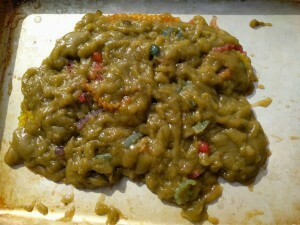 If using microwave, then cook for 3 minutes at a time, watching closely so that it doesn’t bubble over. 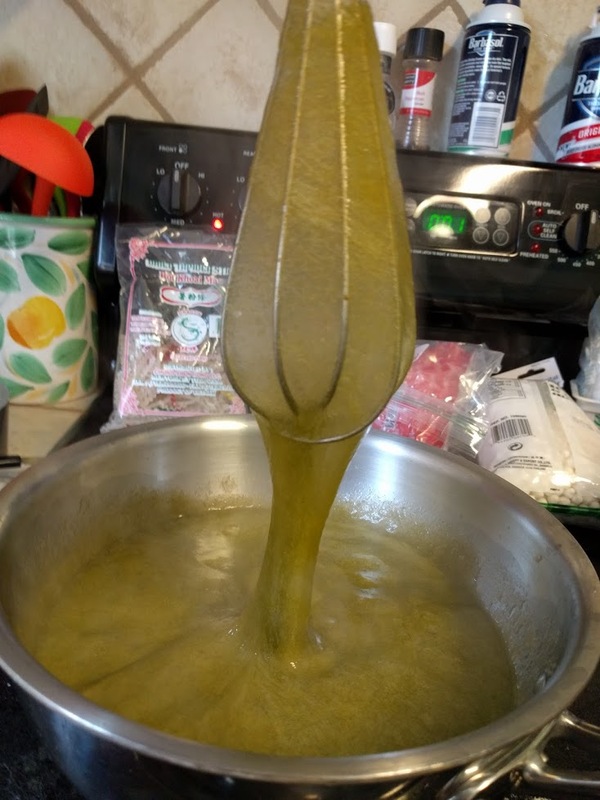 Stir frequently and let it cool before checking the consistency because when it’s hot, it will be more liquid compared to when cool. On the stovetop, cook on high until it starts clumping together and has the texture you desire. The longer you cook it, the less sticky and slimy it becomes. For the mud, I didn’t want the bugs and worms to stick, so I cooked it until it came away from the side of the pot quite easily. 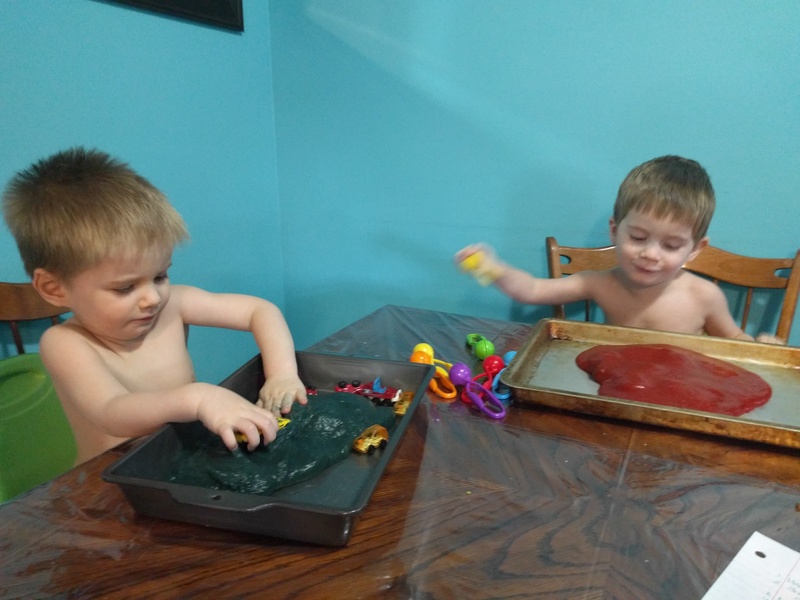 I knew a did a good job replicating mud when my boys weren’t interested in tasting it. 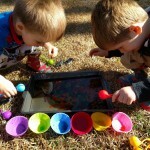 They did taste the unnaturally colored slimes we’d made earlier using the same recipe. 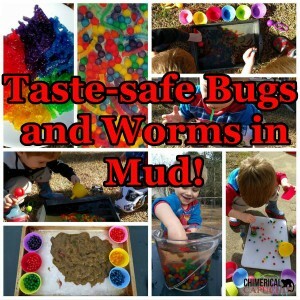 While I had a lot of fun popping out and burying the “worms” and “bugs” in the mud, my sons were a bit put off by how sticky the tapioca got. 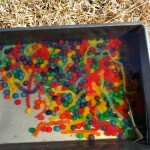 They preferred dumping the tapioca in water and swirling it around. 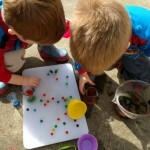 In an ultimately futile effort to keep the tapioca in containers and not spilling all over the ground, I poured them in an old pan I keep for crafts and set it on the ground for both boys to have easy access. We used these nifty Squeezy Tweezers to work on fine motor skills and sorted by color into Silicone Baking Cups. 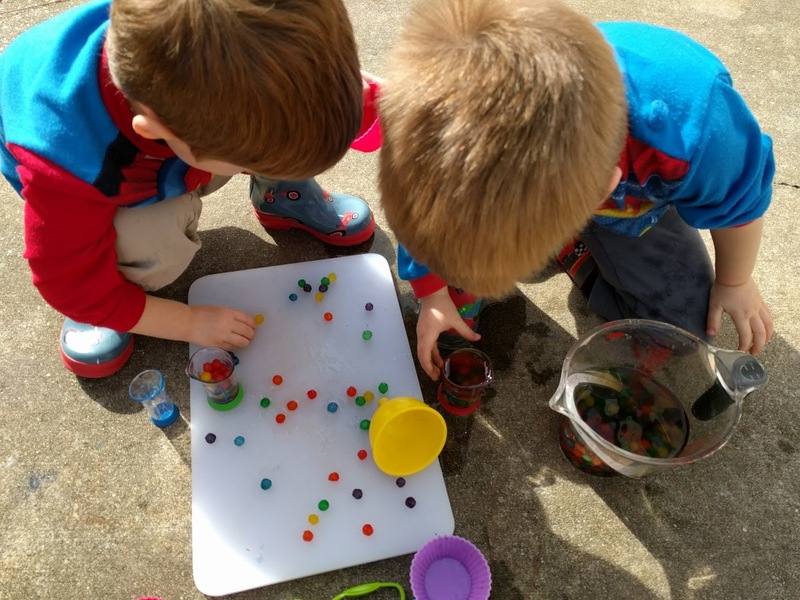 We took a break for lunch, then I brought out some funnels and my Clear Measuring Beaker Set and my boys had a lot of fun just pouring the balls from one container to the next (they’d already eaten all the worms by this point). Next time, I’m going to use chocolate pudding for the mud. 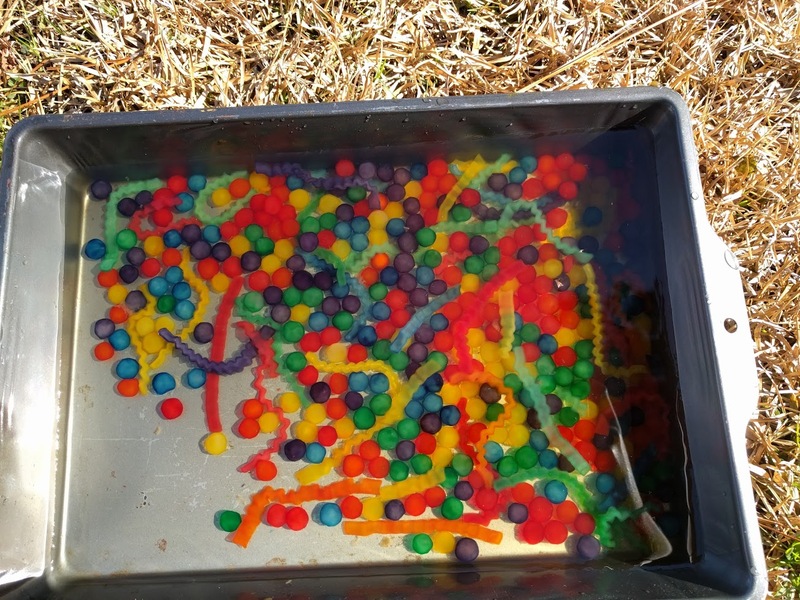 I also think that I’m going to cook the worms a bit less, as they were easy to get lost in the slime and soaked up moisture from it anyway, which caused them to grow even bigger and softer. If your children are like mine, then I highly recommend that you do the craft in a bathtub if you need to keep it indoors. 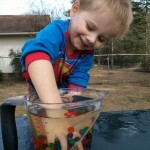 They had such fun pouring out containers and water got everywhere. 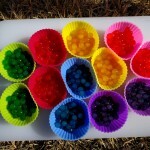 If you try out this craft, please let me know how it goes!